In Her Heart Sterling Silver Cubic Zirconia Pendant Only $17.99! Down From $99.99! You are here: Home / Great Deals / In Her Heart Sterling Silver Cubic Zirconia Pendant Only $17.99! Down From $99.99! 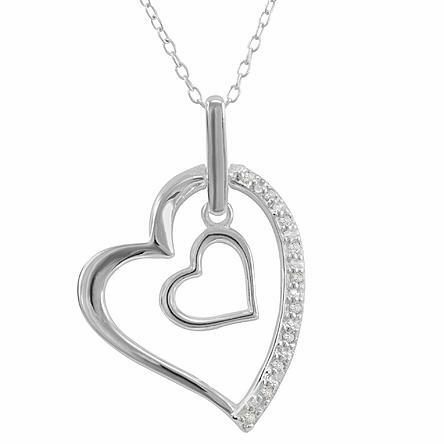 Sears has this beautiful In Her Heart Sterling Silver Cubic Zirconia Pendant on sale for $17.99 (Reg. $99.99)! This necklace would make a wonderful Mother’s Day gift idea! Plus shipping is FREE on orders over $35 or you may be able to get FREE in-store pick up! This is a sterling silver heart inside a heart pendant on an 18″ chain.